Every fanatical spectator of the 2016 Olympics in Rio can confirm that this years event has been one of the most inspiring and invigorating yet. So, of course, sports fans will be wanting to say goodbye to it all with a closing ceremony just as heart-pounding as every supreme Olympics competition has been this year. Luckily, it sounds as though performers at the 2016 Olympics Closing Ceremony will be capable of doing just that, with one particular performer's name standing out as one to watch. The Norwegian EDM DJ, Kygo is performing at the Olympics Closing Ceremony this year, and, if you're not sure who that is, then honey, listen up. He's totally worth finding out about. Firstly, you should know that that Kygo will be performing a song called "Carry On" at the Closing Ceremony, and, despite the fact that it's basically a love song at heart, it's still a fitting tune for the performance. Upbeat, dazzling, and sumptuously ambient, it's an uplifting song with lyrics (such as "I was there for you/ And you were there for me") which celebrate those special individuals who inspire you to (uh, yeah) "carry on." Like, say, the way an Olympic athlete may feel about their fans, their country, or their coach, or the way that an Olympic audience feels when they witness a truly inspiring feat of strength from a sporting superstar. It's a totally fitting song for the closing ceremony, but what else do you need to know about Kygo? Who is he? Kygo's eagerly anticipated debut album, Cloud Nine (which was released in May 2016) featured a host of collaborators, including John Legend, Tom Odell, and James Bay. The DJ has also done remixes for artists such as Coldplay and Ed Sheeran — he's kind of a big deal, guys. According to Billboard, Kygo was wanted by "all of the major labels" who engaged in a competitive, but short lived, bidding war over the representation of the artist before he finally signed with RCA. I don't know what you were up to at that age, but when I was 22 I was still begging coffee shops to hire me. There was no such bidding war over my talents, and I'm more than a little jealous of Kygo as a result. In fact, his real name is actually even better than Kygo: Kyrre Gorvell-Dahll. 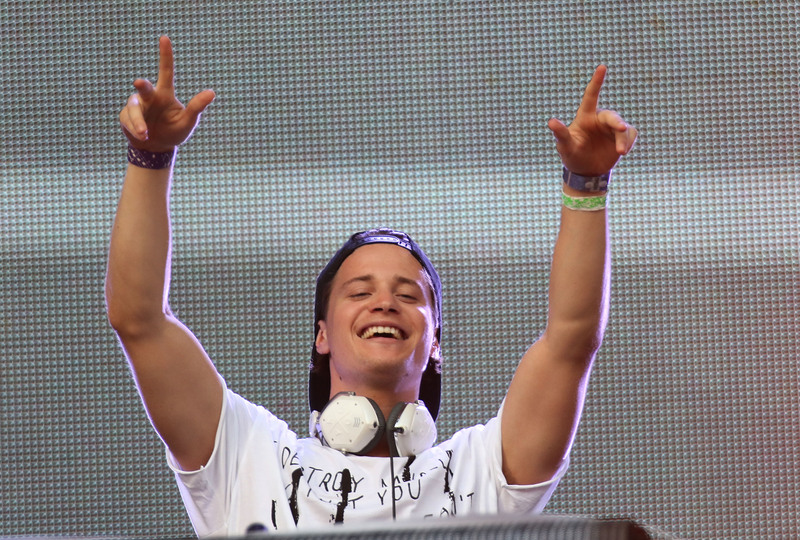 Kygo isn't your average KDM DJ, in fact his own particular genre slightly transcends the norm. Known for significantly slowing down catchy, classic songs (such as his gorgeous remix of Marvin Gaye's "Sexual Healing") to 100-beats per minute, as opposed to sticking to the house-norm of 128 beats per minute, Kygo further adds a broad, eclectic range of instruments to the track to create something totally new. The result? Downtempo electronica, which has also garnered his sound the visceral mantle of being called tropical house. It's party music for people who are more about the chill and the vibe than they are about dancing like an absolute maniac. Seriously, when Kygo decided that this whole music thing was worth fully committing to, he dropped out of the Heriot-Watt University in Edinburgh, Scotland where he was halfway through a business and finance degree. Luckily, that decision has totally payed off. Clearly, Kygo didn't need to complete that degree, however, as his current business pursuits seem to prove that he has a knack for it anyway. On August 11, the artist announced that he is launching his own fashion line, with the Autumn / Winter collection being debuted on August 17. Well, I certainly feel like something of an underachiever after all that. Simply put, Kygo is an up and comer clearly destined for great things, and hopefully his performance at the Olympics Closing Ceremony is just the sort of gigantic platform that the producer and DJ needs to gain that global, mainstream audience that he clearly deserves. You can catch his performance at the 2016 Olympics Closing Ceremony on Sunday, August 21.